Vintage Table Cloth Lovers Club > Categories > Public Tablecloth Discussion Forum > Does this tray or platter match a CHP, Wilendur, or Simtex tablecloth? I remember this pattern on a tablecloth - I think! 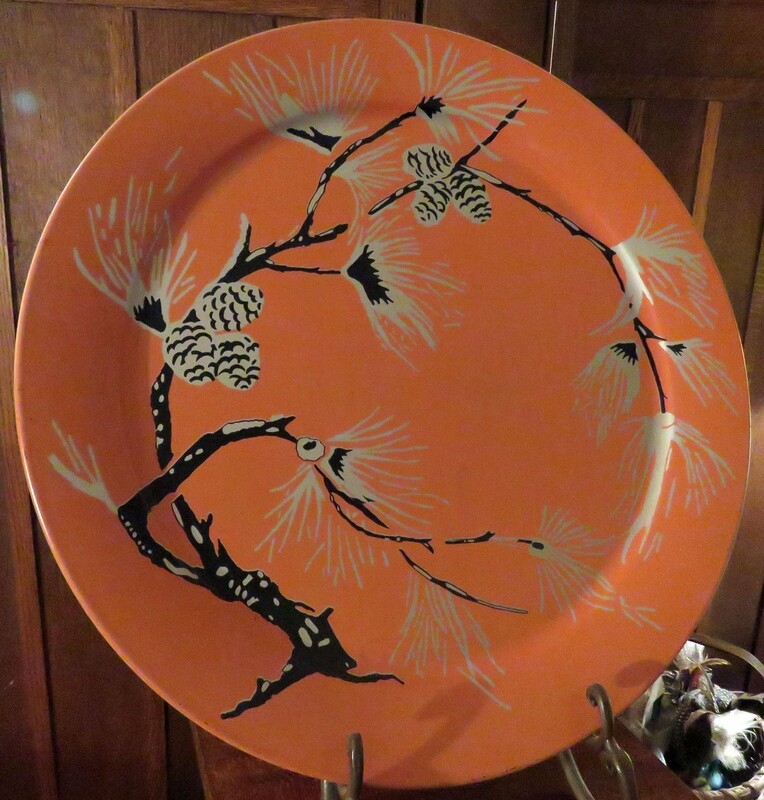 I found this platter or tray in a box I hadn't uncovered in a while. As I cleaned it off, a little tablecloth voice in my head said: "This looks like a California Hand Prints, Wilendur, or Simtex tablecloth I once sold." Does anyone remember the pattern? It may have been a CHP red-background cloth for Christmas ... I'm just not sure! As a former member, I know the best of the best are on here!! Thanks for your time! Gayle or Leslie do you know? Glad you posted to the site. Folks will love these dishes! tereaston: I wish I had more, but I only have this one huge tray. It's on eBay and I've asked eBayer's help, as well. Thanks! !